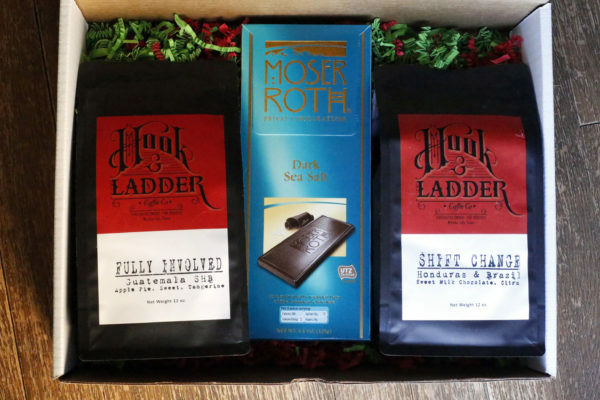 Coffee Gift Sets | Hook & Ladder Coffees and Wine Co.
We all have that person that just seems impossible to find gifts for! Grab them two delicious 12 oz. bags of fresh roasted single origin coffee, and an amazing bar of dark sea salt chocolate! They’ll be glad you did! 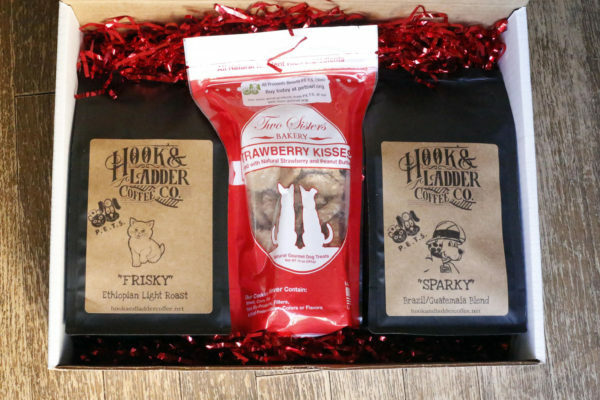 An amazing gift set featuring baked, organic, limited ingredient dogs treats with two 12 oz. 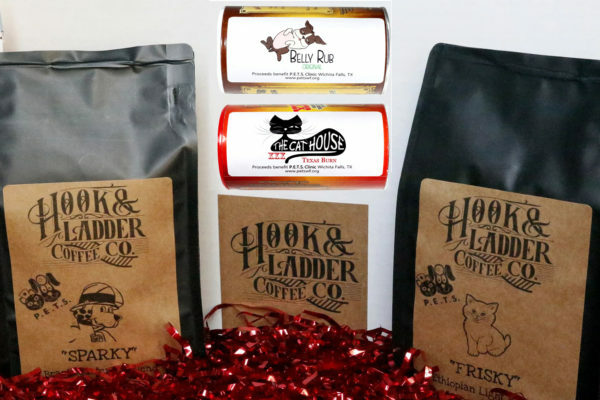 bags of coffee for that coffee drinking dog lover in your life! Proceeds from treat sales and coffee benefit animal welfare through our local P.E.T.S. Clinic! A great gift set with two 12 oz. bags of coffee and two all-purpose seasonings for the amazing cook or grill master in your life!